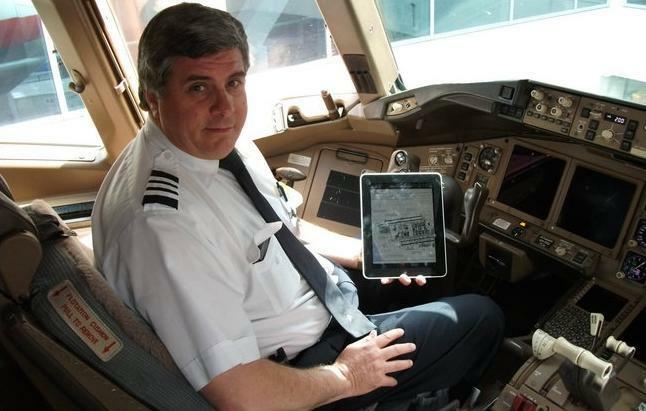 A new Bloomberg report suggests the U.S. Air Force may purchase as many as 18,000 iPad 2s as replacement for manuals and navigation charts. The service’s Air Mobility Command reportedly has plans to issue a proposal, which would be one of the military’s largest orders of computer tablets. If correct, it would surely advance Apple’s reputation within the federal government, and could potentially be a huge blow for RIM, who has been the favorite in federal channels. Apple has quickly become the go-to device in the business sector, not just average consumer channels, and now the company seems to be winning over the federal government. Last year, the Department of Veterans Affairs announced plans to allow employees to use both iPhones and iPad for official work on the agency’s network. A similar announcement was made by the National Oceanic and Atmospheric Administration this week. By now, we’re all aware of RIM’s recent failings. The company was shaken up by a CEO change, and market share continues to be an issue. Still, the company currently has more than 1 million government customers in North America, Marisa Conway, a RIM spokeswoman said. That 1 million seems to be in jeopardy, though, as Apple continues to make inroads into not just consumer hands, but government channels. When Air Mobility Command puts in a request, it will actually be open to a number of tablets, Ferrero said, not exclusively the iPad 2. Other products may include tablets like the Playbook – which remains the only tablet certified for use by U.S. government agencies – Xoom, Galaxy Tab and, oddly enough, the Nook Tablet. Apple, though, may wind up being the favorite. The National Institute of Standards and Technology is currently reviewing an application from Apple regarding encryption on the iPhone and iPad. If the application is pushed through, the iPad 2 would receive certification and clearance to access the Pentagon’s sensitive and classified networks, surely edging the device as the favorite once AMC puts in its request in the next few weeks.